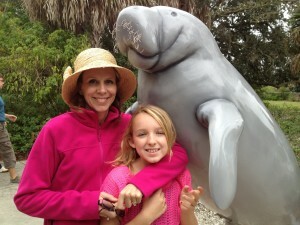 This morning we spent a few hours at a Manatee Park in Fort Meyers Florida. The Manatees totally embodied the first yama, ahimsa – nonviolence. They are not predatory at all. 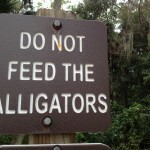 In fact that are vegetarians and chomp away on sea grass all day long. Not only are they not predatory, but they have no known predators either! They live in a world of complete non-violence. 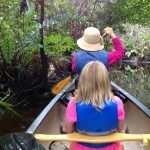 As we canoed beside these manatees in the wild they completely embodied the yama, ahimasa/nonviolence. They quietly swam under the water, gently floating up to the surface for air every once in a while. 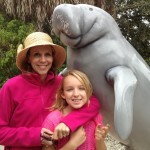 Manatees are completely peaceful creatures. It was inspiring to spend time in their presence.